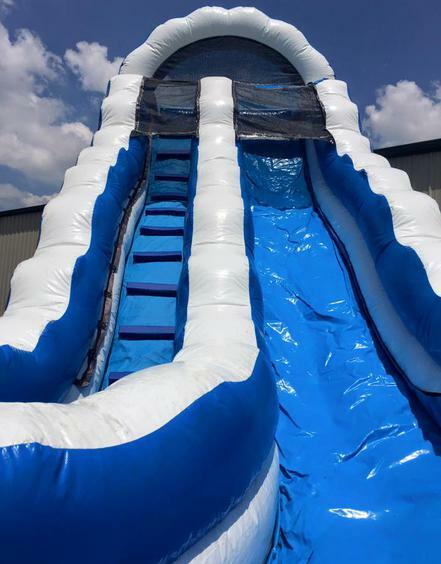 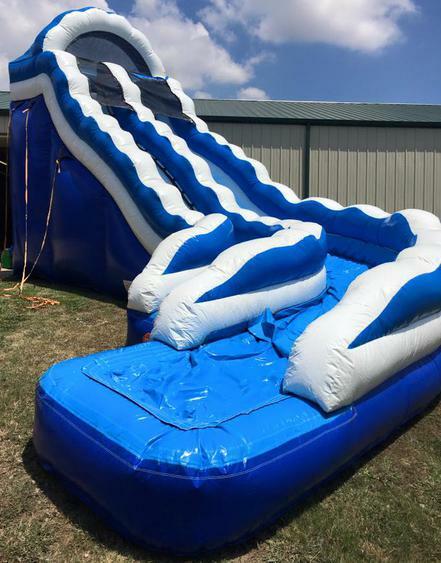 Bring the extreme thrills and excitement of white-water rafting to community events and backyard birthday parties with the 16-foot high Curved Water Slide. 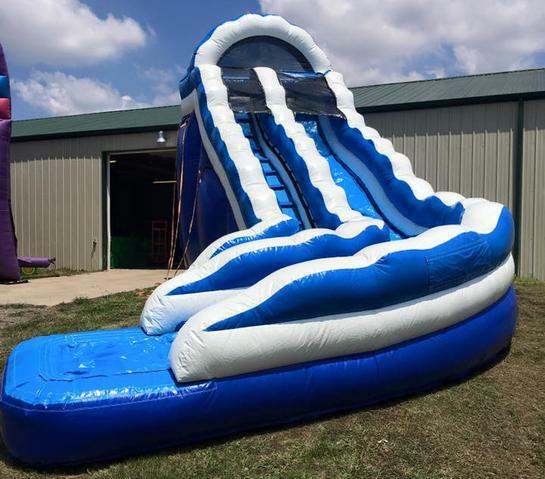 Its sleek design with wavy white-water accents and sharp 90-degree turn brings riders back again and again. 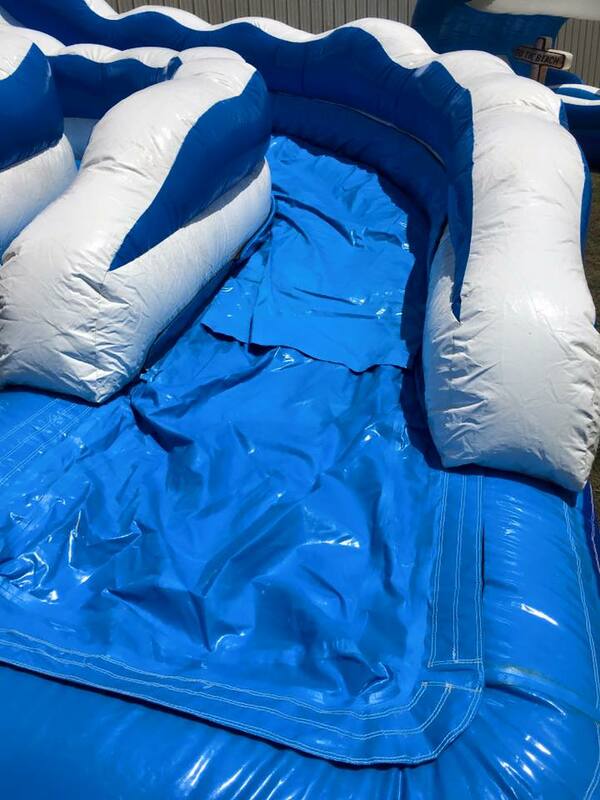 A bump part-way down the slide provides an exhilarating boost as the rider heads into the banked turn.